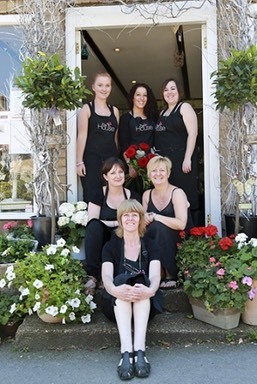 The House Floral Design, run by Carshalton Mum Vanessa Udall, has been a much-loved landmark in Carshalton Beeches�offering stunning floral arrangements�for over 40 years. Situated in the beautful and flourishing area of Carshalton Beeches,�The House Floral Design�counts other successful small businesses (The Corner Gallery, Vinoteca, Baileys Deli and The Carshalton Patch) as its neighbours. "We have a hugely loyal clientele in the local area," says Vanessa, who caters for weddings and corporate events and runs popular seasonal workshops for local residents. "We provide beautiful floral arrangements for every occasion, both locally and nationally, but looking after our local clients is what makes our job so rewarding." With so many people resorting to supermarkets and online shopping to cover their floral needs it is great to see a locally run florist doing so well. "Our shop provides a welcoming experience for its customers," agrees Vanessa. �"I think local people enjoy seeing our fresh displays everyday as they walk past and like to pop in for a chat about bouquets or arrangements that we can help them with." The House Floral Design provides fresh flower bouquets, vase arrangements, wedding flowers, corporate arrangements, sympathy tributes, plants and unusual gifts, potted arrangements, plants, balloons and seasonal gifts. They also run fun after-work floral workshops and seasonal activities for children throughout the year. "I think our customers really appreciate the passion that all our staff have for what they do," adds Vanessa. "Our attention to detail makes sure that every arrangement is completely unique and highly personal." So if you would like a more personal gift for a loved one, a really special bouquet to say thank you or are interested in beautiful floral displays for a special event, why not give Vanessa a call, or pop in to their shop in Carshalton Beeches, so Vanessa and her team can work their floral magic for you.